Neil has set off a tidal wave of interest in the Canadian publishing industry for homegrown celebrity memoirs. Read all about it below in an article that was published yesterday in the Toronto Star. I’m really excited about Neil writing his memoir. Isn’t it something that we’ve all secretly been hoping for all these years? I never thought I’d see the day when he would do this. News that Neil Young has decided to write his own memoir has Canadian publishers scratching their heads over the possibility of more potential gold in the lives and secrets of the nation’s star entertainers and celebrities. “In Canada it’s kind of hard to come up with star-power names whose books people will want to buy,” McClelland & Stewart president Doug Pepper confessed to the Star following the announcement Tuesday of Young’s deal with Blue Rider Press, an imprint of Penguin Books. That question is particularly relevant in Young’s case. Young participated in an earlier biography written by James McDonough’s in 2002. But he later took it to task, and caused it to be bowdlerized after legal proceedings. Given Young’s objections to McDonough’s biography, and his reputation as an eccentric and obsessive custodian of his own myth, others in Canada’s publishing industry, who asked to remain anonymous, are skeptical that the Canadian folk-rocker will be as candid as Rolling Stone Keith Richards is in his top-selling 2010 memoir, Life, though they agree the length and artistic scope of Young’s eventful career will likely fuel intense sales. Among Canadian celebs with potentially golden memoirs, Young seems a popular favourite, though few publishers are willing to make public their actual wish lists, for fear of tipping off the competition. …more here on Toronto Stare . 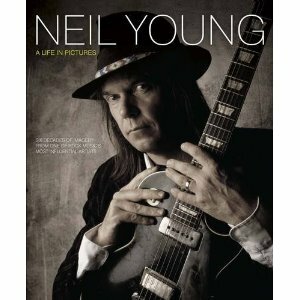 Neil Young has already written “a good deal of material” for his upcoming memoir, tentatively titled Waging Heavy Peace. Joining the lengthening list of rockers to have penned, or signed to pen, their life story, Young will release his work in the fall of 2012, Blue Rider Press announced. “He felt that this was a really propitious moment to try and put some stuff down on paper,” David Rosenthal, the president and publisher, told The New York Times. “I felt like writing books fit me like a glove; I started and I just kept going,” Young said in a statement. …more on: Neil Young signs deal to publish memoirs – Music – Toronto.com. it should be available in February 2, 2012. Kevin Chong was ready to be let down easy. It was March 2004, and the Vancouver writer had a new book idea. After publishing his first novel, Baroque-a-Nova, in 2001 and feeling frustrated with less-than-stellar feedback for his sophomore fiction manuscript, Chong needed a break. He turned to a personal icon and conjured up a fresh project – a distraction of sorts. … and has been published since. Kevin Chong in his book “Neil Young Nation” writes about his irreverent search for a North American icon. Neil Young is one of the most consistently popular musicians of our time. His brilliant, gnomic, lyrical music has earned him fans of all ages and persuasions. Novelist Kevin Chong counts himself among them. Kevin Chong is an (erstwhile) guitar player. Neil-fact-checking was done by Sharry. The book includes photos of Rusties. An article in today’s issue of the New York Times revealed some more information about Neil’s forthcoming memoir. It’s tentatively titled “Waging Heavy Peace” and is to be released in the fall of 2012. “>\"Friends. The shadow hat icon will always be me personally writing to you from now on. No one else will use it.\"